If you are thinking about getting organized in your home or work space, then start here. Read through and follow these great tips from organizing experts. One of the biggest hurdles to having an organized home is trying to figure out where to start. Getting organized might be a huge task, but it is worth it. A tidy home is welcoming, peaceful, and creates spaces for emotional connections with those closest to you. So let’s start small and work towards this goal. Are you ready? Alright! 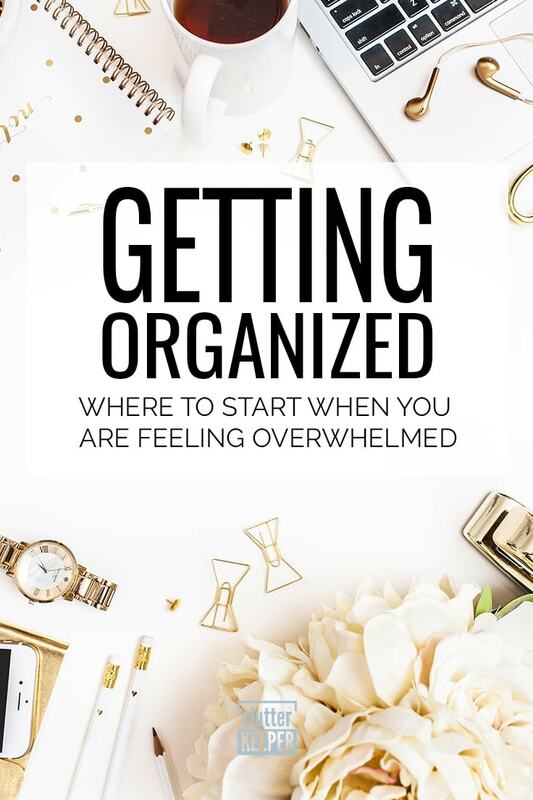 Let’s walk through the baby steps of getting organized. This website has resources and guides for how to clean every room and space in your home. Before you dive into these helpful guides, start small. Start here. After you are equipped with these tips, you will be ready to organize an entire room and – soon – your entire home. Before you start trying to put things away, make sure you have the space. The Spruce has this fantastic tip. Organize your junk drawer first and don’t stuff it full like that again. Use drawer organizers to help keep your items in their place, and then, move onto the closets and other drawers. Having organized closets, cabinets, and drawers will then establish boundaries as you organize your rooms. If you don’t have a place to store something, decide whether it is important enough to keep. Are you someone that thrives on lists and rules? Then your organizing journey will be a whole lot easier with the PROCESS steps from Laura of Organizing Junkie. The PROCESS Steps is an acronym Laura created that can be applied to every single organizing task. It starts with planning and ends with a smile. Walk around your home and notice where the most disorganization is. What habits led to them getting to this point? Maybe there are piles of papers in the kitchen, or a bedroom closet is overrun with too many clothes. Every space that has too many unused items needs a trash can and/or a donate bin within arm’s reach. This will eliminate any excuses you have and make sure you don’t avoid it. It will also prevent these areas from going back to the messy state they were in before. Before you begin organizing, make a promise to yourself (and ask everyone living with you to do the same). Promise that you won’t bring in more things unless you know exactly where it will be stored. You’ll be able to stay motivated to keep organizing if the little triumphs you accomplish don’t undo themselves with more stuff. What is it about a horizontal surface that attracts papers and other items? Is there an invisible magnet? Address this danger and create a system in place to prevent your horizontal surfaces from returning to their chaotic state. Create a separate checklist for every room or area in your home. If you have a checklist, you will be less likely to get distracted and more likely to stay on task. Plus, it feels amazing to see a completed list! When you create your own list, you can customize it to what needs done in the room are you tackling. However, there are a bunch of free organizing printables online that you can use as well. 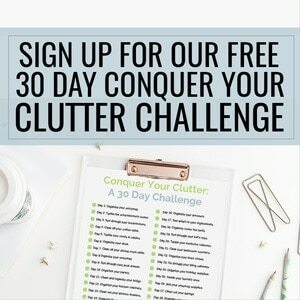 The best collection of printables is over on I Heart Organizing. 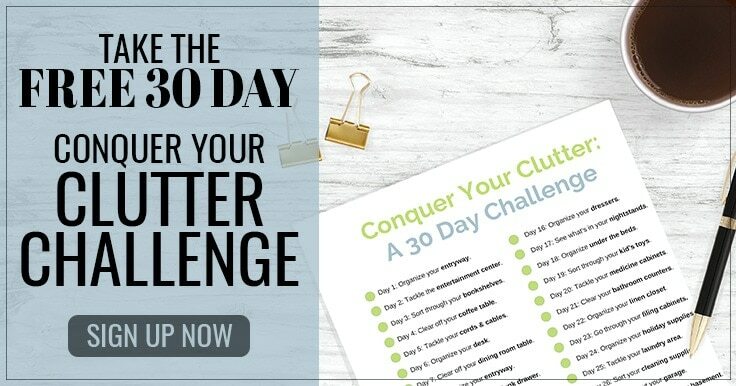 There are tons of sheets with places for you to write out goals, cleaning tasks and chores. The next tip is incredibly important: you shouldn’t expect yourself to do it alone. Ask for help. Unless you live alone, you aren’t the only person responsible for the state of the home. If everyone is on board, you can all encourage each other and support each other through the process of organizing and creating new places to store your possessions. Also, try to reach out for emotional support from friends or family members that don’t live with you. Their encouragement and support will be the fuel you need to keep going. And they might even have fresh new insights or ideas for creative storage solutions for your home. If you need to, take small breaks or recruit help. But do not give up. Remind yourself why you are doing this. Most importantly, when you accomplish organizing a drawer, a closet, or an entire room, celebrate! Take a step back and smile and enjoy the reward of tackling it and making it beautiful! 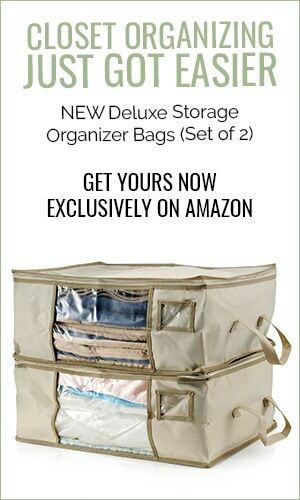 Now you are ready to go organize your home! When you are getting organized, create a vision and do all you can to make that a reality. Now that you’re getting organized, here are some more cleaning tips and home organization ideas to help you keep up the momentum.